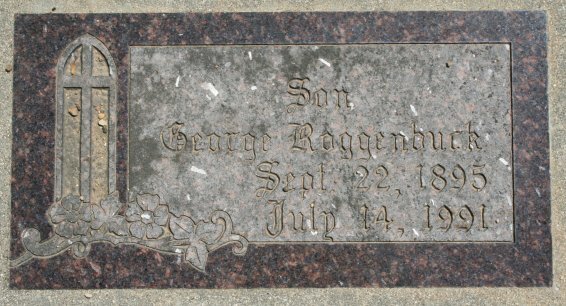 Headstone of George Roggenbuck. 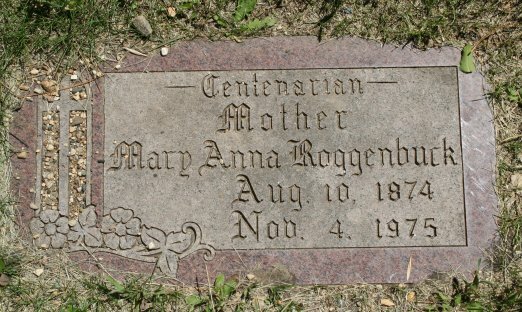 Location: Saint Lawrence Cemetery, Milbank (Grant County), South Dakota. 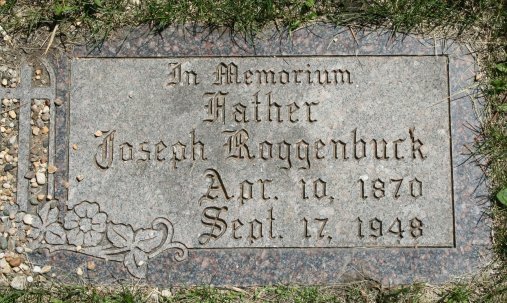 I found in www.rootsweb.com in the South Dakota Section a Roggenbuck Family with following members: Joseph Roggenbuck and his wife Mary Schorman. Three children: George Joseph born 22/09/1894, Gertrude born 22/09/1895 and Francis Eugean born 16/05/1897. I found more children and more details in the census 1900. The name in the database was miss spelled as Roggarbock(!!). came in 1892 to South Dakota (recalculated by census data how long in this state). Where did he live between 1886 and 1892? Are there any known descendants still living in Milbank or Big Stone?